Craobh Loch Garman may be just two years old but thanks to ever-growing membership numbers, a strong core of teachers and volunteers, and a very active committee with a can-do attitude (sorry? self-praise is what??) we have achieved loads. Nor will we be resting on our laurels as the branch has big plans for the next couple of years. In early December branch representatives travelled to Comhaltas HQ in Dublin to present to Leinster delegates Wexford’s bid for Fleadh Cheoil na hÉireann. The last time the event was in these parts was when Enniscorthy hosted it in 1999 and 2000. Loch Garman President Paddy Berry told the meeting that Wexford was ready to host the event again. He told delegates that the branch, working with Wexford County Council, Wexford Chamber and other major stakeholders, had already put a huge amount of time into preparing for Fleadh Loch Garman. While the meeting decided that they would like to see Drogheda hosting the event for two years (2018 and 2019) they would not be averse to Wexford returning to them next year with a bid for 2020. This was the message that the Wexford delegation had expected to hear and, truth be told, it did not bother them in the slightest. An event of the size of the Fleadh, the largest traditional music festival in the World, requires much advance planning. As far as Craobh Loch Garman is concerned 2020 will do just fine! Over the next year the branch will continue with its plans to host the event. With a budget of up to €1.5 million required to run the Fleadh it is imperative that the host branch identifies and puts in place various revenue streams. While events, merchandise, advertising and other revenue-generating elements will play a part, sponsorship will be key. This latter area will be the main focus of attention in 2018. 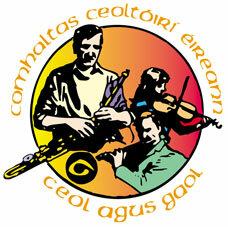 Wexford County Council has already committed to partnering with Wexford Comhaltas in hosting the Fleadh. It knows that any event that brings as many as 450,000 visitors to an area is an event worth supporting. It also knows that an event such as this can have benefits that last way beyond the event itself. As part of its efforts to get Wexford ready for Fleadh Cheoil na hÉireann, Craobh Loch Garman has already started on a campaign to significantly raise the profile of the traditional arts in the area. In the past year it has organised, or been involved with, a series of concerts, sessions and céilithe. In the year ahead the plan is to ramp this up so as to reach new audiences. This will involve school visits, more events, better use of traditional and social media and greater collaboration with like-minded groups. The branch has two big events planned for early in 2018. The first is Strictly Loch Garman Céilí which takes place at the Talbot Hotel on 16 Feb. It is being run in association with Wexford Chamber. Proceeds go to Friends of Wexford General Hospital’s MRI Scanner Now Appeal. On St Patrick’s Day RTE Radio 1’s Céilí House broadcasts a live extended show from the National Opera House. Craobh Loch Garman along with other branches in the county will have an input. The show will feature some of the county’s best traditional music talent along with some special guests. We will also, for the first time, be officially part of the Comhaltas Seisiún series in 2018. Add to that all the other events we did last year and which we will do again in the year ahead: Trad Disco, Heritage Park Sessions, Summer Trad Session at Cullen's Pub, Adamstown, a couple of showcase concerts, a few céilithe, Seachtain na Gaeilge gigs, Cruinniú na Cásca, Culture Night, Wexford Fringe Festival show, Ceolchoirm Nollaig na nGael, and all the rest! All the while the Wexford town branch, like branches all around the county, will continue to nurture and promote the traditional arts - music-making, singing and dancing - and encouraging greater use of an teanga dúchasach. We applaud the work that the music schools and the music teachers in and around Wexford town are doing. If we have ambitions to make Wexford a traditional arts stronghold they provide the seedbed! To use an oft used (and abused) expression: Ni neart go cur le chéile.